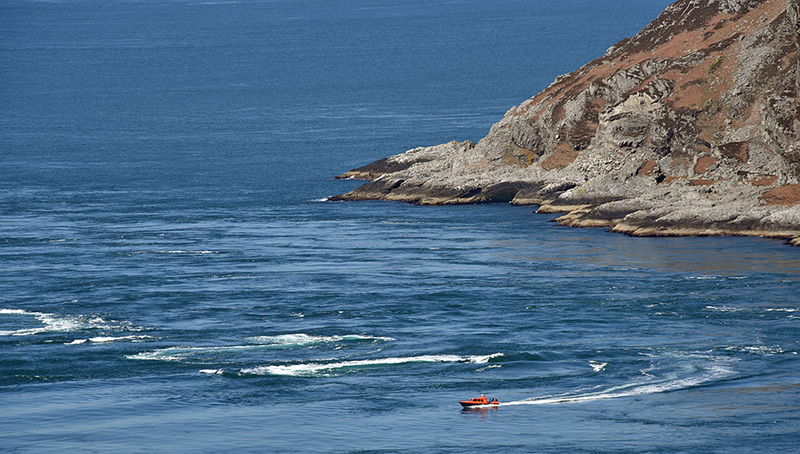 A regular visitor to the Corryvreckan, the RIB of Venture West is cruising right around the whirlpool on a beautiful sunny April day. We watched it from the far north of Jura during our Jura excursion with the Islay walking week. This entry was posted in Jura Excursion, Landscape, New Post, Sunny Weather and tagged Corryvreckan Whirlpool, Gulf of Corryvreckan, Jura, Scarba by Armin Grewe. Bookmark the permalink.